I always associate summertime with the five B's: beaches, backyards, barbeques, beer, and burgers. There's nothing better than being able to eat dinner in the backyard and biting into a freshly cooked burger that's just oozing with flavourful toppings. I actually just returned from a delicious lunch at The Works, a burger chain in Canada with a pretty crazy list of burger toppings. I had a turkey burger with avocados, roasted red peppers, havarti, and a vegetable mayo sauce, and it was messy but one of the tastiest burgers I've had in a while! While I'm not much of a beef burger eater, I absolutely love chicken burgers, turkey burgers, and pretty much every type of veggie burger. I know some people are super picky about their veggie burgers and I'm not sure why; maybe it's because they're looking for a veggie burger that tastes just like a meat burger? What I like about veggie burgers is that they don't remind me of meat burgers, and there are so many different kinds to try - black bean, chickpea, sweet potato, lentil, portobello mushroom, and even quinoa burgers! I've tried many of the veggie burger varieties I just listed, except for a quinoa burger, which is surprising because I love quinoa! So I decided to remedy that last week and kick off the start to burger season with these Mediterranean quinoa feta burgers. 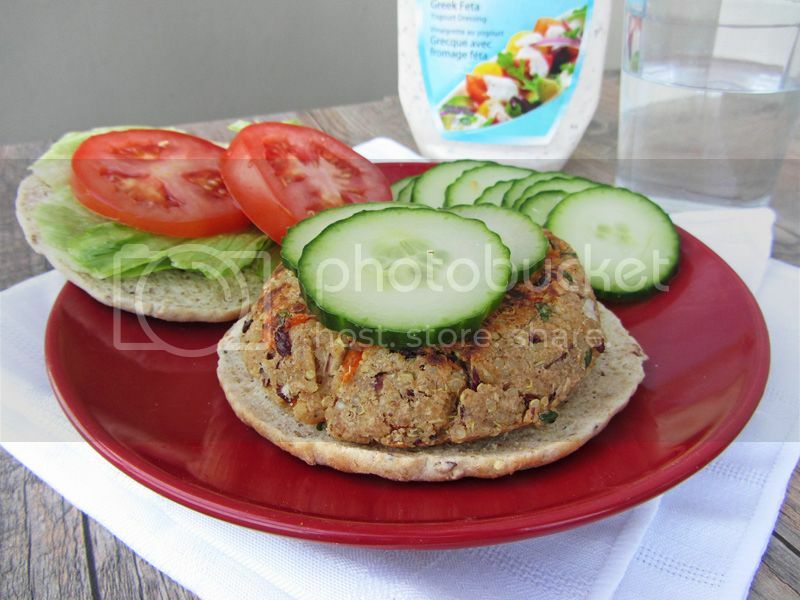 These are a great healthy and tasty alternative to traditional meat burgers. They're full of Mediterranean flavours both in the quinoa patties, which include red pepper, garlic, parsley, and feta, and in the burger toppings, for which I used lettuce, tomato, cucumber, and a storebought Greek feta yogurt dressing. If you can't find a similar dressing, you could easily just use crumbled feta or make your own feta yogurt dressing with a recipe like this one. You can also change up the toppings however you like - I think roasted red peppers would work really well with these! I loved the way the quinoa added an extra texture to the burger so it wasn't completely mushy like some bean burgers can be, and that it added lots of protein to the dish so I still felt full afterwards. I served mine with a side of cucumbers drizzled in the feta yogurt dressing to keep my meal light and healthy, but the fact that the burgers are healthy could easily justify eating them with a big side of fries! These probably won't satisfy someone looking for a veggie burger that tastes like a meat burger, but they're a great option for anyone looking for a healthy alternative to a traditional burger. Cook quinoa as per package directions and let cool slightly. Mash the kidney beans in a large bowl. Add the cooked quinoa, shallot, garlic, red pepper, parsley, feta, egg whites, salt, and pepper, and mix well. Add 1/2 cup bread crumbs and attempt to form a patty. If the mixture is too wet to hold together well, continue adding more bread crumbs (up to an additional 1/2 cup) to reach a texture where the patty will hold its shape when you pick it up gently with your hand. Shape mixture into 6 or 7 round patties. Heat a large non-stick skillet over medium heat and spray with non-stick cooking spray. Cook patties in batches, about 5 minutes per side, until golden brown and cooked through. 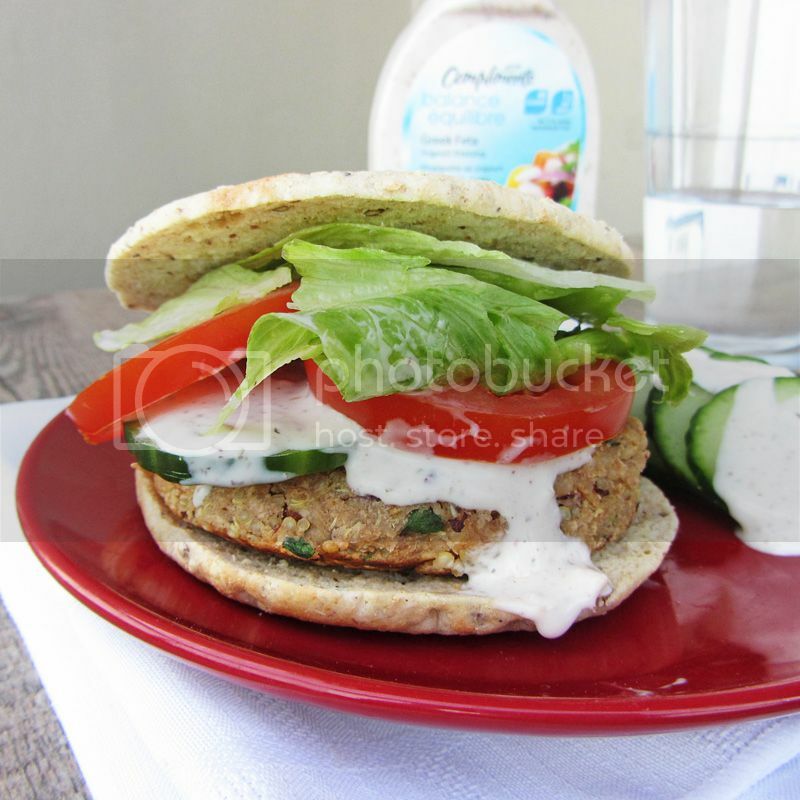 Serve quinoa patties on hamburger buns, topped with lettuce, tomato, cucumber, and feta yogurt salad dressing or feta cheese. I will admit to being super picky about my veggie burgers, but I'm the same way you are: I want burgers that DON'T try to imitate beef. I want ones made with grains and beans and veggies! These look delicious--I love quinoa! Me too. 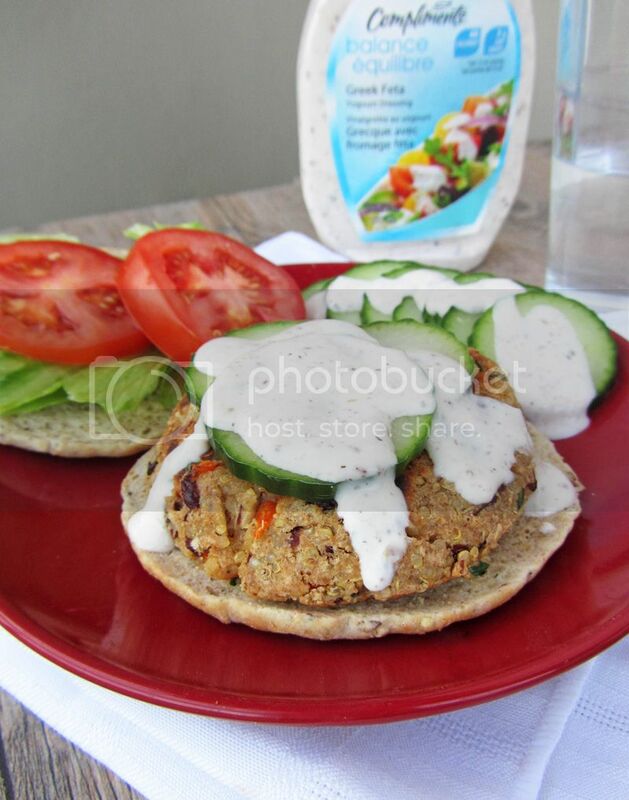 I love veggie burgers filled with veggies and grains. These look fantastic! :) Yum!!!! I love finding new versions of veggie burgers!! THese look so delicious! MMM...I love any type of bean burgers. I'd really love to try these with the kidney beans. I'm bookmarking it!